Had to snap a few of gorgeous proud big sister while little guy was eating! Inspiration: Design & style magazines. I have a slight addiction to shopping so I do a lot of prop/studio shopping so clients will always see something new for a session. I love interior design & when I can bring style & design into my sessions it makes it that much more fun. 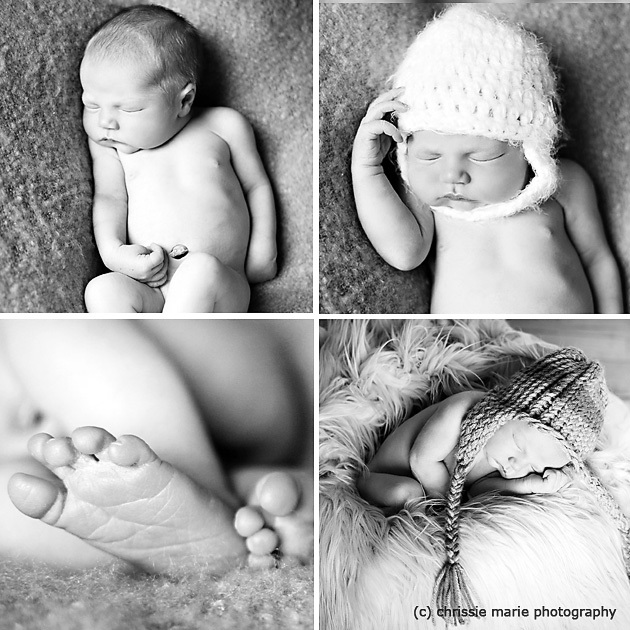 Favorite Element: Focus is always the baby but I love adding an element of style. I love the use of texture & color with fabrics, knit hats, hardwoods, baskets, bowls, trunks & ottomans. Biggest Challenge: This little guy came to visit at my studio the morning after he got home from the hospital at just 2 days old! My biggest challenge was although he was very sleepy he was very jumpy & his little hands were so hard to get to lay flat. I love the softness of babies hands when we can get them open and to lay flat. Usually when we get a baby into a good deep sleep we can do a lot of posing with them but with this little guy he was a little feisty any time we moved him. Even though he was just 2 days old he was over 9lbs so lots of baby chub! 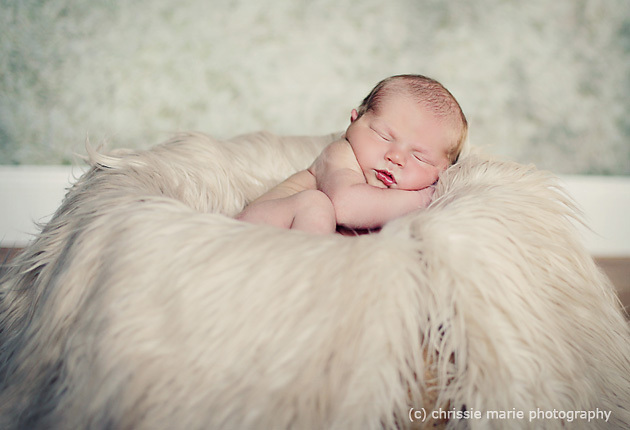 I loved his baby chunky cheeks & he was so adorable so although he was a little feisty I still loved photographing him! These are AMAZING! 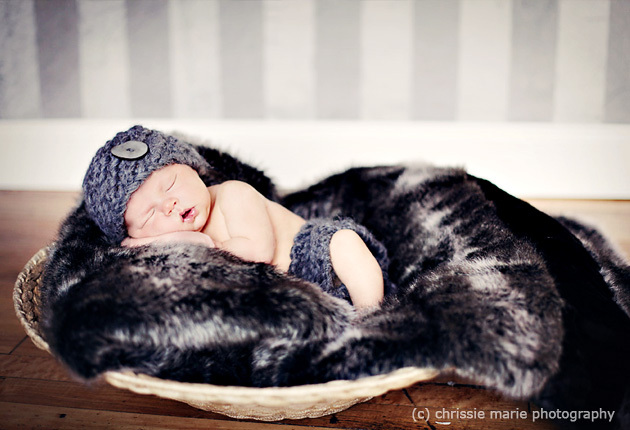 Her photos make me want to have more babies just so she can take photographs of them! Christina is my most favorite photographer. 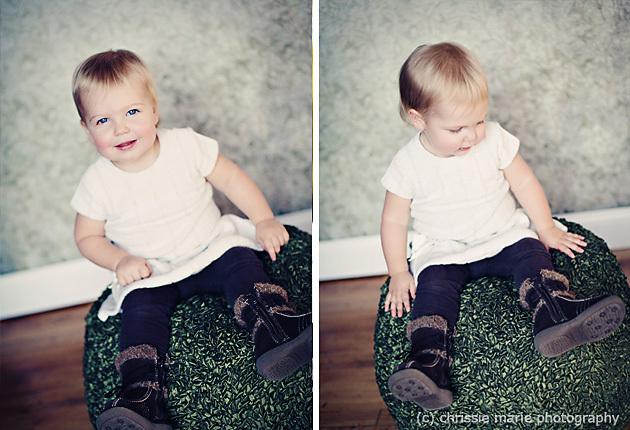 I love her style, love her props, and love love love looking at the cute babies she photographs. You have such amazing talent! Your choice of props and accesories are always spot on. Just beautiful. So precious! 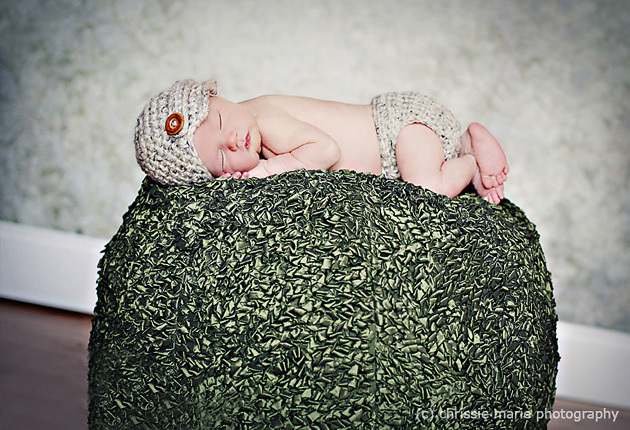 I love that the pictures and poses are a natural extension of the baby and not too posed…perfect! These photos are so precious! 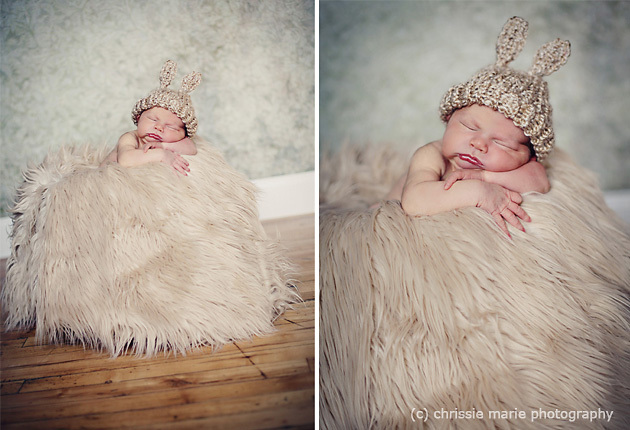 It’s amazing how Christina can capture the babies’ little expressions at such an adorable and fleeting stage. What a gift! I love your work! I wish I could have you photograph my babes everyday!